When I was in college I worked at an adorable boutique that sold household decor, specialty food items, and all kinds of other wonderful things. One highlight was when the new Yankee Candle fragrances came out. I love the food scents, especially the warm autumn ones like pumpkin or cider. These are the new fragrances out for this Fall. 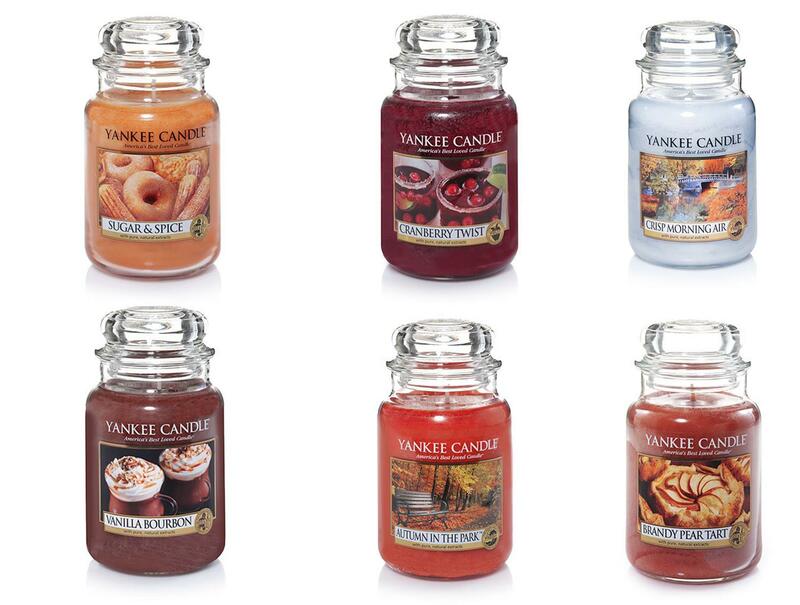 All are available at yankeecandle.com, but if your local retailer sells them, please purchase them there! I am trying to decide between Sugar & Spice and Vanilla Bourbon. What fragrance is your favorite?